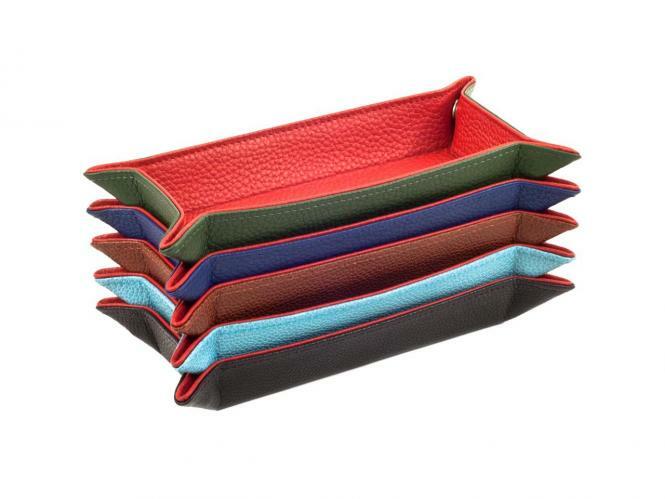 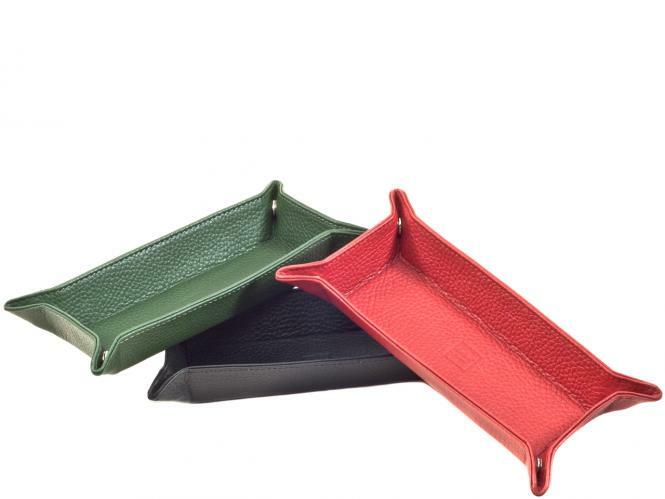 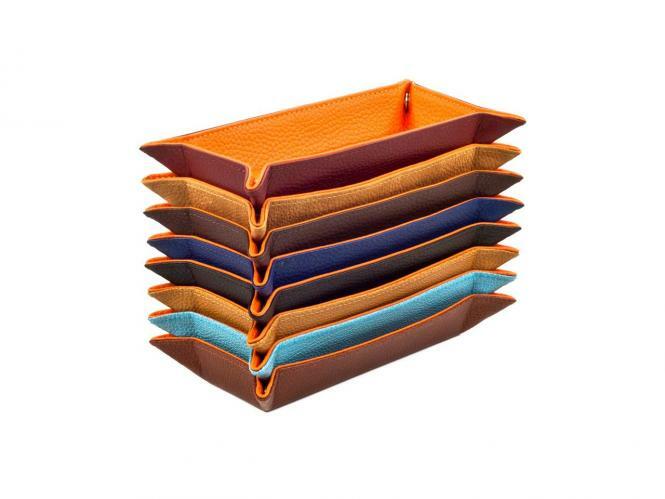 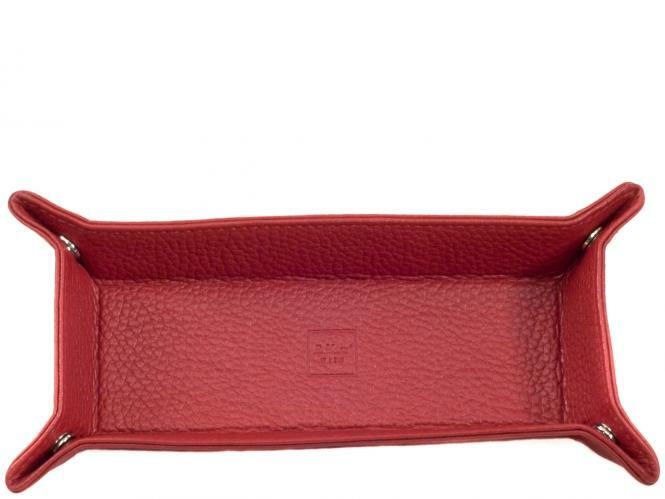 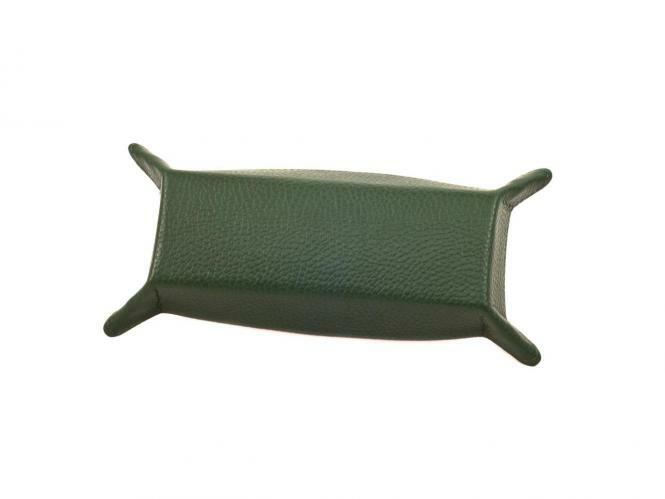 Portable leather travel valet tray for pocket change, jewelry, cufflinks, pens, etc. 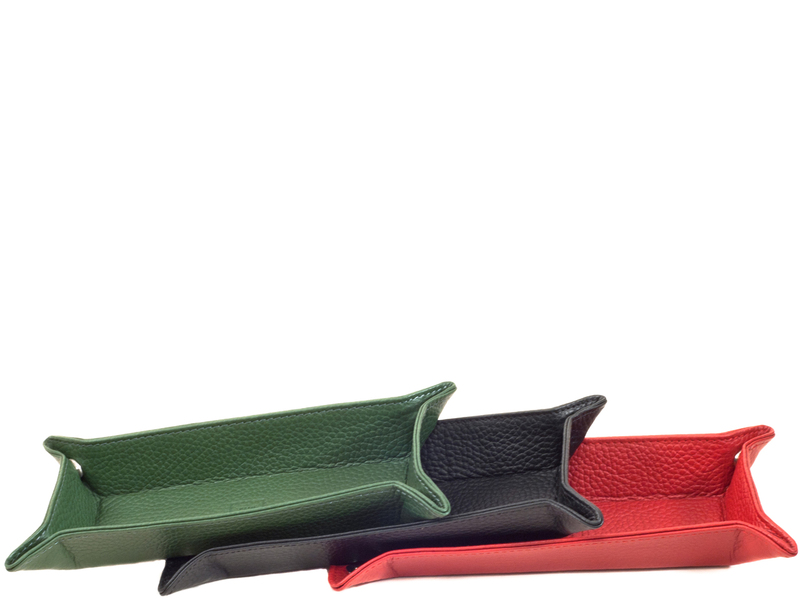 Snap corners unbutton to lie flat. 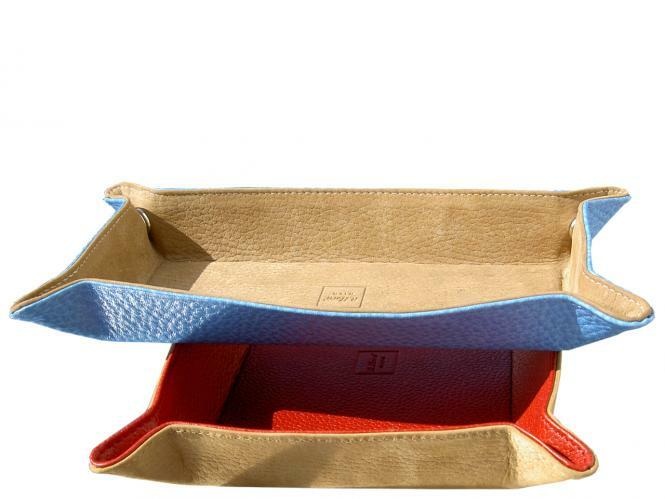 Available in one color or with red or orange inside.